Before we go even one word further, we debated at length whether we should put the word ‘turd’ in a subject line. For the record, I voted yes. This has been a common term for many years, outside of web designer parties, it is less common. Almost offensive. It starts with the reality that everything is possible online. Everyone wants everything. This leads to the designer being a note taker instead of being a designer. We’ve found that even the average designer is better than a wisdom of the crowds approach to website design. The ‘group’ approach leads to the inevitable ‘Frankensite‘. A website with a random mix of graphics, style and pieces of others sites, it’s poorly made and often has errors, etc. 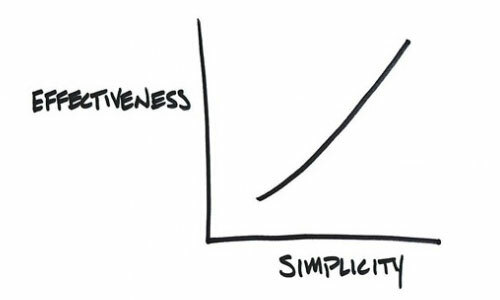 There are many quotes out there about simplicity, we all know them, find them true, but often don’t follow their advice. Sometimes agreement with a client is easier, but it always produces a bad result. Both in the product and the client satisfaction longer term. The ‘win’ is when a client has enough humility to trust the designer and the designer has enough confidence to communicate the value of simplicity. We call this collaborative design. If I was a client…I’d ask your web development agency about design; philosophy, approach, tools. If I was a designer…I’d talk to them about ‘shiny turds’ and ‘frankensites’.